Served by three mobile network operators, China’s 2G and 3G mobile sectors are largely divided along technological lines. That being said, the transition to LTE has brought us to a more converged marketplace. The Ministry of Industry and Information Technology (MIIT) issued licenses for time division duplex LTE (TD-LTE) in late 2013. In December of that year, China Mobile - currently the largest operator by subscribers - launched commercial services over the country’s first 4G network after spending much of the preceding year conducting tests of the system and rolling out its network. China Mobile continues to focus on the locally-developed TD-LTE 4G standard. Rivals China Unicom and China Telecom have gone for a mix of TD-LTE and frequency division duplex LTE (FDD-LTE).This is due in part to Chinese regulators' refusal to allocate licenses for the two mobile operators' preferred FDD-LTE standard until February 2015 - more than a year after the distribution of TD-LTE concessions. Unicom’s original intention was to utilize the FDD standard almost exclusively, as it provides a smoother migration path from its W-CDMA 3G platform. CDMA2000-based 3G operator Telecom planned to use TD-LTE in urban areas and FDD-LTE elsewhere. As a result of the regulator’s decision to delay the allocation of FDD licences, all three of the nation’s cellcos have, to an extent, been forced to adopt the TD-LTE standard. China Mobile realized it dropped the ball on the 3G front way back in 2009. The company adopted the homegrown TD-SCDMA standard - which was never widely deployed outside of China - instead of the more popular W-CDMA or CDMA2000. To ensure its preferred 4G technology TD-LTE received broad support outside of China, the cellco helped establish the Global TD-LTE Initiative (GTI). By the end of July 2016, GTI garnered the support of 124 operator members and 112 partners, including India's largest cellco by subscribers, Bharti Airtel. 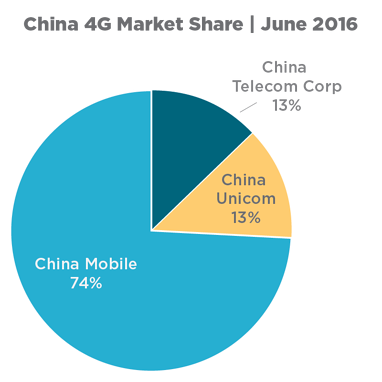 China Mobile invested heavily in rolling out as wide a network as possible in a short period of time. The initial plan was to install 500,000 4G base stations by the end of 2014, but it exceeded that target, rolling out 720,000 by December 31. 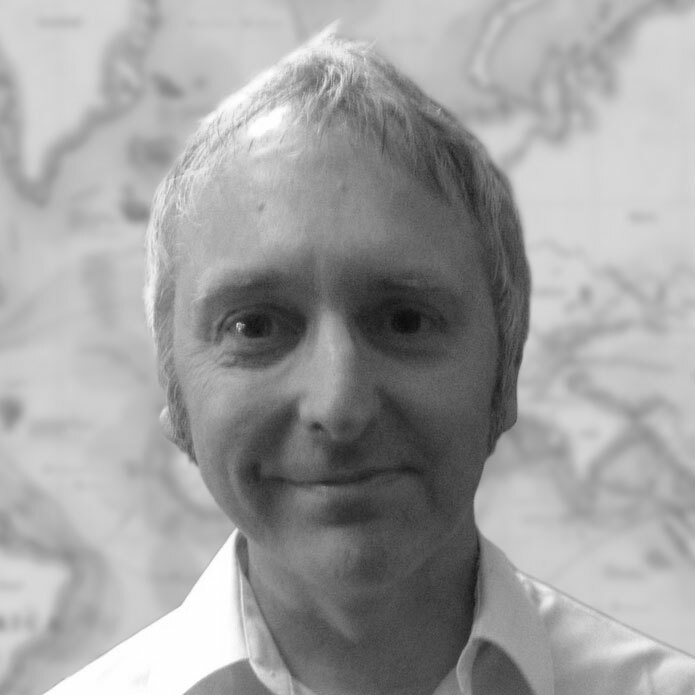 That number rose to 1.1 million the following year and is set to reach 1.4 million in 2016. China Mobile has reaped the rewards of its aggressive strategy, watching its 4G subscriber base grow at a startling rate. From an estimated 45,000 users in December 2013, within the space of a year the operator grew to become the world’s largest LTE provider by subscribers. China Mobile even overtook the U.S.-based Verizon Wireless' claim to that title in Q4 2014, at which point the Chinese cellco had 90.1 million 4G customers. By June 2015 it had more than doubled its LTE user base to 189.7 million before passing the 300 million subscriber mark in Q4 2015 and then 400 million in Q2 2016, claiming a total of 428.5 million LTE users by mid-2016. China Telecom and China Unicom staged successful 4G launches introducing their own TD-LTE networks in February and March 2014, respectively. Those delays in licensing FDD technology and the knock-on impact of allowing the market leader an early advantage in the 4G sector prevented the two cellcos from seeing the same growth enjoyed by China Mobile. However, the introduction of FDD-LTE in early 2015 gave both cellcos a shot in the arm. Adding 8 million 4G customers by the end of 2014, Telecom grew its user base nearly five-fold over the following year to 39.3 million in December 2015 and almost doubling that figure to 75 million in June 2016. For its part, Unicom added 6 million 4G users in its first year, but overtook Telecom by the end of 2015 to claim 44.2 million, although it fell slightly behind Telecom in mid-2016, with 72.4 million 4G users to Telecom’s 75 million. On a national scale, China’s LTE market exploded in 2014 and 2015, going from a standing start to 104.1 million within a single year, nearly quadrupling that figure over the next 12 months to 395.7 million in December 2015. In March 2016, the number of customers using LTE technology exceeded those using 2G or 3G; that gap will widen further as 4G technology continues to go from strength to strength. 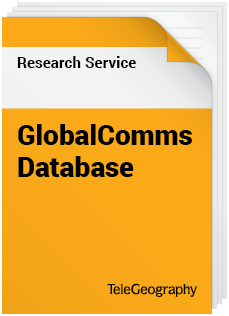 TeleGeography’s Trends is a blog series that uses the wealth of information from our GlobalComms Database and GlobalComms Forecast Service to take a closer, data-focused look at major telecom news stories.